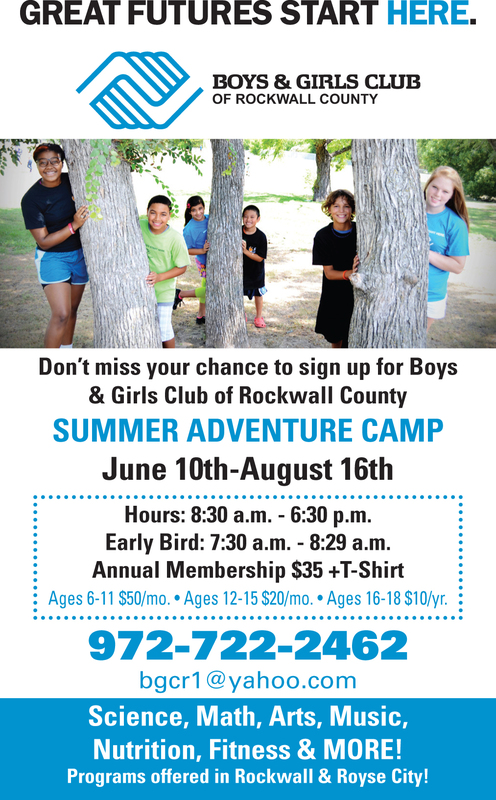 Summer Camp Guide – MORE UPDATED LISTINGS! 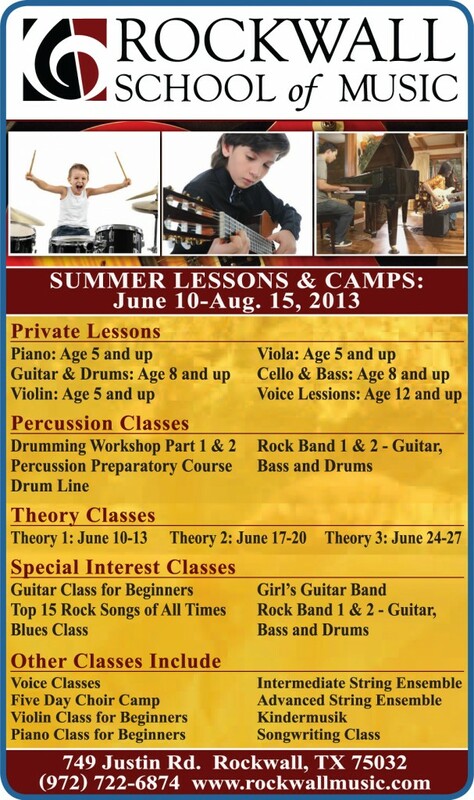 (Summer 2013) Can’t decide which summer camp option is right for your child? Blue Ribbon News is spotlighting some of our area’s best and most popular summer camps and programs. Try a free one-hour art class before enrolling in summer camp: Tuesday, May 28 from 4:15 to 5:15 p.m. for ages 6 years and older; or Wednesday, May 20 from 4 to 5 p.m. for ages 9 years and older. At Hobby Lobby, Rockwall. 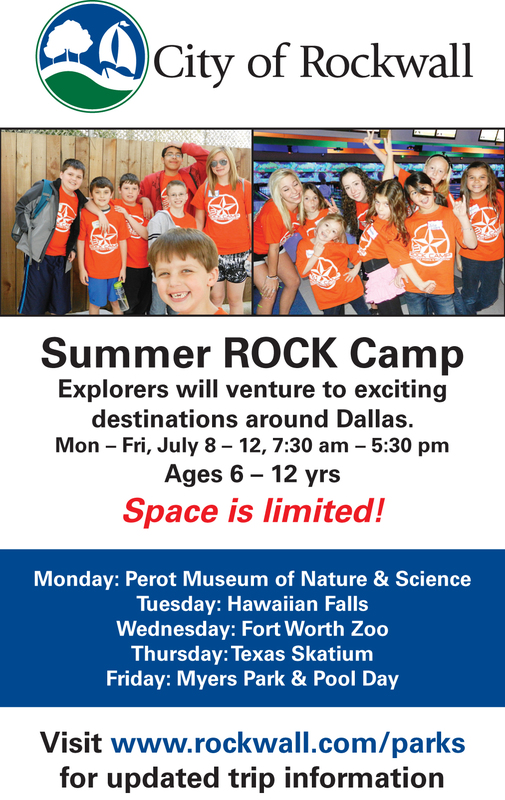 Reserve your child’s place by emailing or calling leahfoleyart@gmail.com or 469-338-9960. For kids ages 4 to 18. Arts & crafts, drawing, painting & sculpting. When school is out, camp is in! 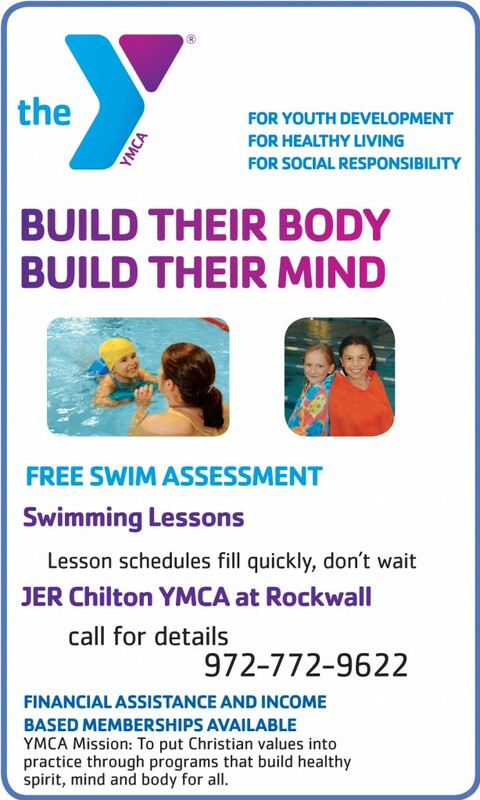 Two sessions per day, 8am-1pm & 1pm-6pm., ages 3 & up. 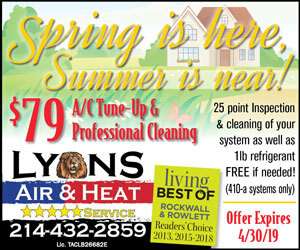 Sign up online or call. Experience a full day of exploration, fun & learning. 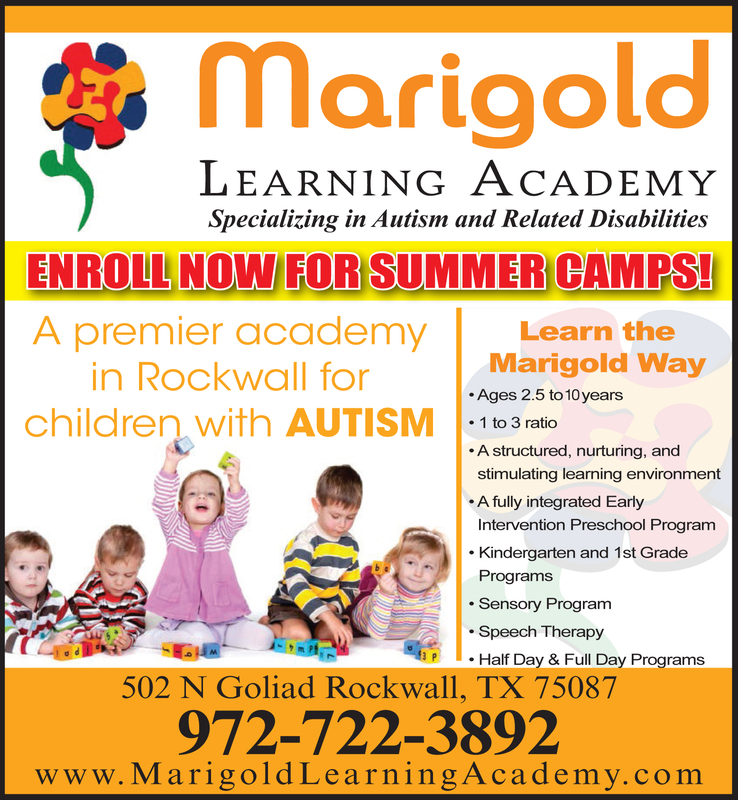 Ages 6-18, $50/mo, breakfast & lunch incl., 8:30am-6:30pm. Limited space. Experience a full day of exploration, fun & learning. Ages 6-18, $50/mo, lunch incl., 8:30am-6:30pm. Limited space. Summer camps include Animal Grossology, Remote Control Mania, Space Adventures, Mining & Crafting, SuperHero Academy, Movie Making, Robotics & a special Bricks 4 Girls camp. Most camps are offered 9 a.m. -noon & 1-4 p.m. Monday-Friday. Mon/Wed & Tue/Thur schedules also available. Every week a new journey! Awesome field trips 3-4 times a week, arts & crafts, onsite activities & more! Cheer Camp, Comic Book Camp, Fashion Designer, Lego Logo, Rocket Ride to Space & more. Limited space. 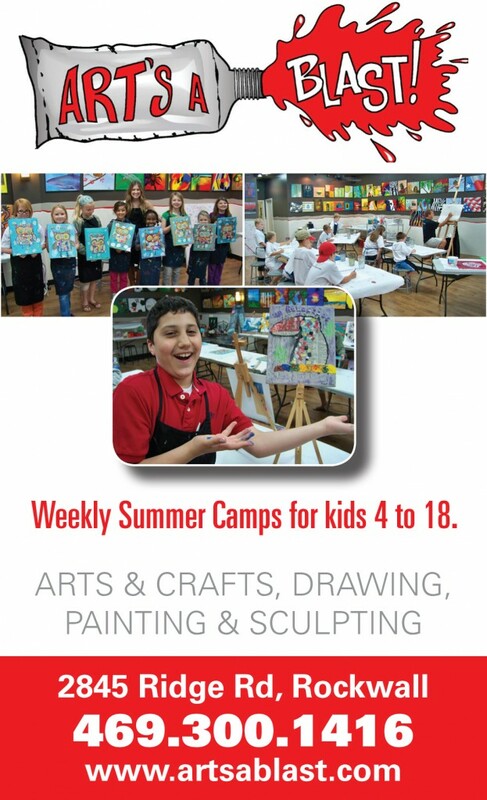 Arts & crafts, science & nature, and academics camp sessions for ages 3 and up. ShowBiz Summer & Teen Conservatory: acting, musical theater, comedy, moving making for ages 3 ½ to teen. 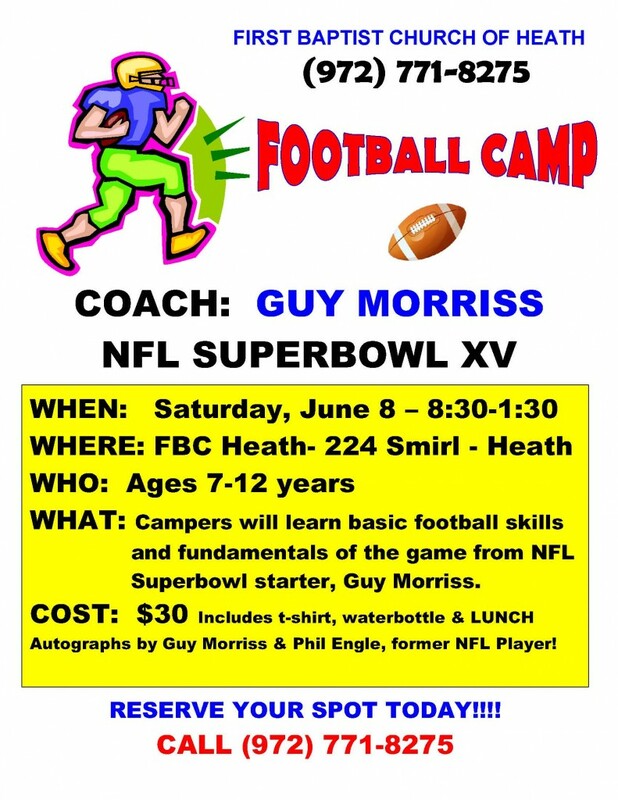 Coach Guy Morriss, NFL Superbowl XV, 8:30-1:30 Saturday, June 8. Ages 7-12. K-8, Bible stories, fun outings & mission work in the community. $15 includes T-shirt, one outing & pizza party. Create, imagine & explore on high seas, rainforests & Wild West adventures. T-W-Th July 9-25, 9am-1:30pm. 3 yrs-completed 2nd grade. Blast from the Past Summer. Come for the week or all summer. Choose from a variety of theme-based weeks. K-6th grade. Explore the wonders of the outdoors, encounter animal Ambassadors, investigate natured-themed topics & more. May 1 through September. Thu & Fri 11am-5pm. & swim time. $121/week; nonmembers, $143/week. for God. FREE. 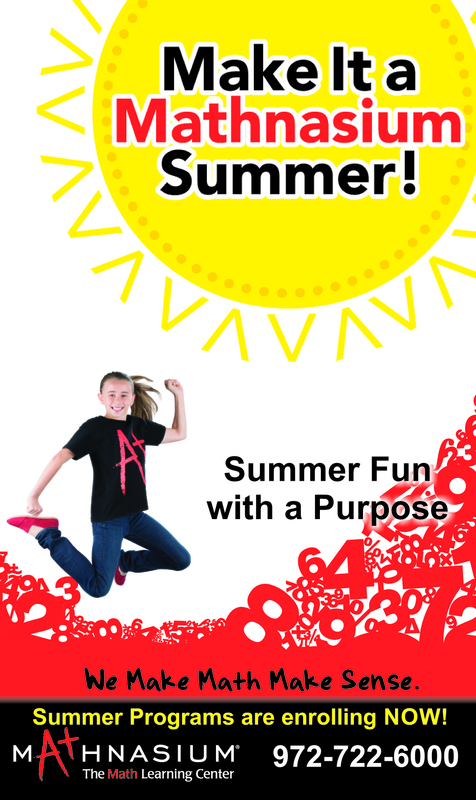 For kids who have completed grades K-5. Campers plant, grow & harvest vegetables, helping kids w/autism, sensory or textile disorders discover new foods. 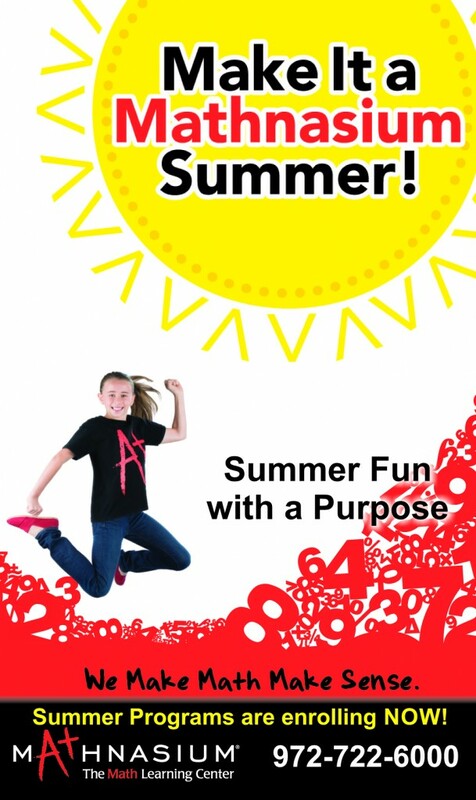 This summer, help your child get ready for next year’s math and have fun, too! 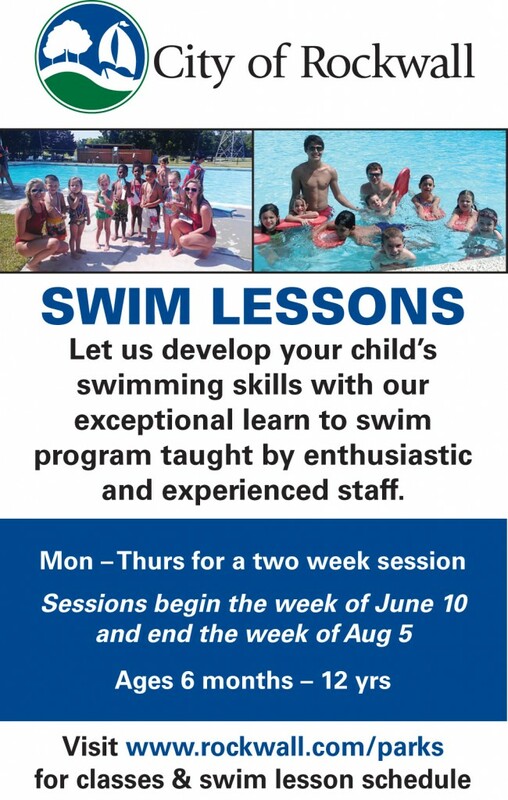 Summer programs June 10-Aug 17 with flexible scheduling. 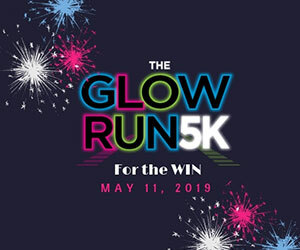 Free registration w/sign-up by June 1. Engineering & Math through Fashion Design. Let Down Your Hair, Rapunzel for ages 6-12; Zombie Prom, Teen Theater; Grease, Star Players for special needs actors. Programs for all ages offered in Dance, Gymnastics, Fencing, Flag Football, Basketball, Volleyball, Soccer & more. Private & group classes for students interested in piano, guitar, voice, drums violin, viola, cello, bass, songwriting & choir. If you can swim, you can play water polo. 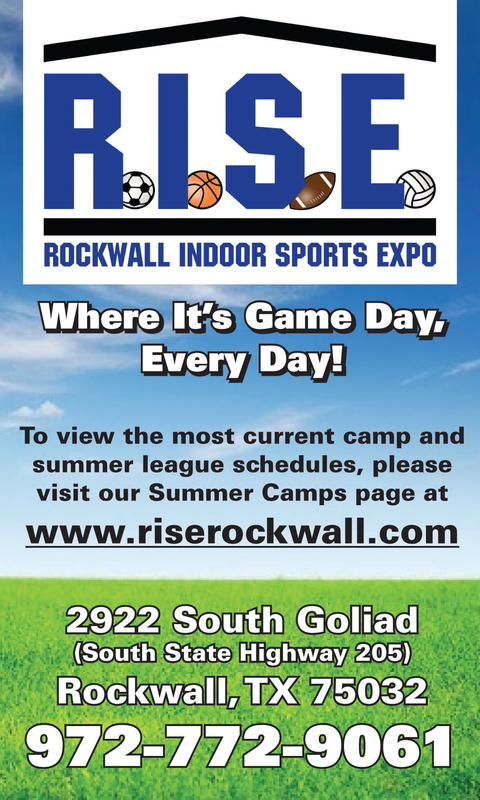 Boys & girls, 8-18 from Rockwall & surrounding cities welcome. Check website for dates & times. 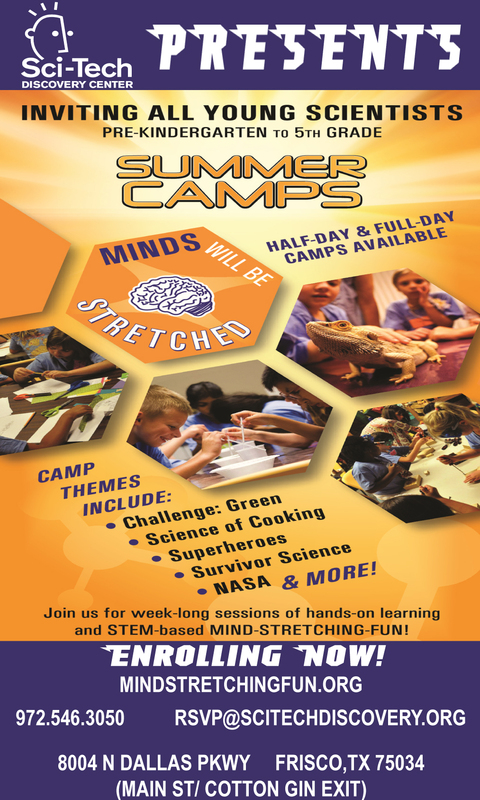 Half or full-day themed STEM camps for pre-K through grade 7. Optional extended care. June 10-14 & June 17-21, 9am-4pm. M-Th; 9am-noon Fri. $300/wk. 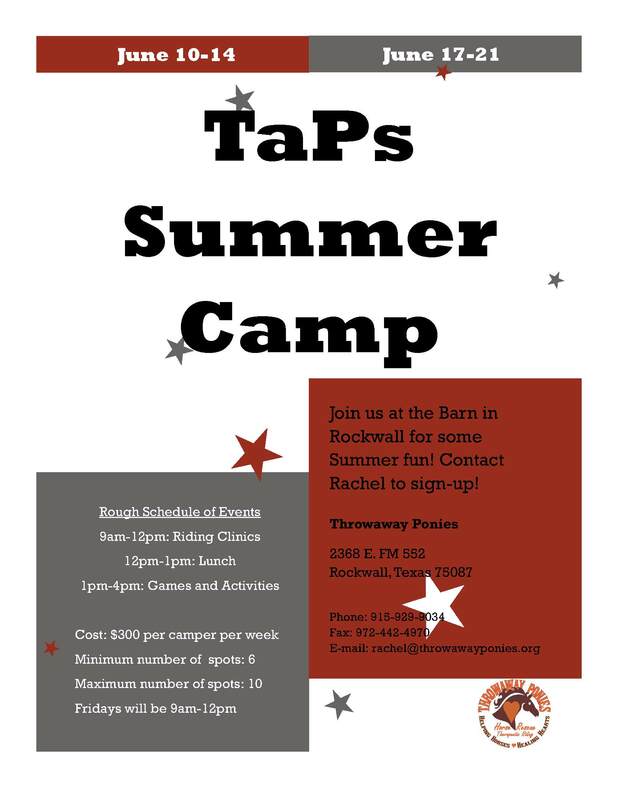 Campers will ride, play games & enjoy equine activities.